My hopes and goals for the Wilfair series absolutely tip the quirkier side of the gamut, and a lot of them have been met. Met in all sorts of strange and delightful and occasionally painful and usually weird ways. I wanted to meet readers -- I just didn't know it would happen so often in person! -- and I wanted to read what people might write within the world. Oh, and enjoy some art, too. I seed the Wilfairverse, for its own sake, with plenty of visual elements and vintage dresses and glitter and such, but did I keep a thought, as I set out, that someone might do something with those visuals? Draw a mint dish or neon sign? You betcha. Maybe I'm a tad shameless in this regard, but I like a lot of airflow through a world. And among the brain folders holding my Wilfair hopes is one labeled "Favorite Literary Couples." I hoped that Fair and Gomery would show up on a blog's favorite couple round-up one day. That's all. That's it. My fingers have been crossed for that little milestone, since the beginning. So thank you, Amanda W. of Amanda Loves Words, for this surprise inclusion, just in time for Valentine's Day. Thank you so much. You are too kind! Have we talked favorite couples here? I must go with Amanda: I'm a big Anne Shirley-Gilbert Blythe fan. 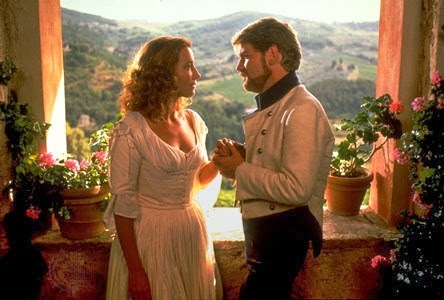 And Beatrice and Benedick of "Much Ado About Nothing" have also won my heart. Banter! Matched wits! Heck yeah. Oh that is some good company to be in! It makes me want to read the books I'm not as familiar with because I'm such a fan of the ones that I do know on her list. Anne Elliot and Captain Wentworth are my favorite Austen couple by far. Bess, I know. I'm ready to jump into some fresh stories from Amanda's list. Ulrika: Your picks are juicy and jammin', both. I'm 100% about Ron and Hermione, too, by the by. YES, ha ha ha! I'm a huge "Little House" fan and reread the books quite often! I didn't know you were the same. Oh yeah. Fist bump from LA! 1) I second/third/whatever Anne and Gilbert, because they were the fundamental literary couple of my young life. 2) I also like Lizzie Bennet and Darcy because they (eventually) inspire each other to be (moderately) better people. Definitely a fan of Wentworth as well, although Ann is a bit spineless for me… but she gets there. 4) Meg and Calvin in "A Wrinkle in Time" because they're both smart and awesome and learn to lean on each other. I'm not positive that I love how this relationship changes towards the end of this extremely disconnected collection of books, but I like it in the first three. 5) Possibly the sort of doomed couple in Milan Kundera's "Identity," precisely because of the way they are doomed. It's not a happy story, but there's a sort of poetic justice or vicious pleasure there, somehow. Laura Ingalls & Almanzo Wilder! yes! My mom read me all the Little House books (skipping the Long Winter because it was too dark) and I later read my copies to pieces. I was sort of obsessed with proposal scenes and could, perhaps, recite Laura and Almanzo's engagement from memory (the ring was a garnet with pearl on each side) as well as Laurie and Amy's in the rowboat from Little Women. It was gateway romance for young Bess. Bess, if you like Ann Elliott and Captain Wentworth, have you read For Darkness Shows the Stars by Diana Peterfreund? It's a sci-fi retelling of Persuasion and it's amazing! 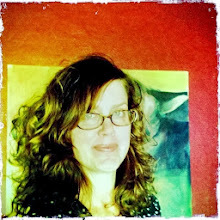 Amanda W. - It's been on my list of things to read. I love Sci-fi and Persuasion so it's a perfect combo for me. Thank you! Ulrika -- yes! The proposal. Gooood. And I, too, love sci-fi and Austen, so I need to look into that book. Amanda, I think we might have discussed it once. It's on my list for sure. Nothing to add except cheer here. Love this comment thread.